Russian President Dmitry Medvedev shared his views on the modern political system and plans for its immediate future in an interview with Rossiya 1 TV channel correspondent Sergey Brilyov. Sergey Brilyov: Mr. Medvedev, looking at this year’s events, January saw the State Council on democratization of the political system, even though it was an extended council; and August saw the State Council on professional diseases, even though combined with the Commission on modernization. It looks like you’ve been using the State Council for discussing the most topical and strategic issues. Looking back at the past 10 years, where do you see the place of the State Council, which is paradoxically both an advisory and a consulting body? What role do you assign to it? DM: I believe it demonstrates its role by its work. When did the State Council emerge? It was indeed established 10 years ago, after the order of formation of the Federation Council was changed. If I’m not mistaken, it happened on 8th August 2000. After that, the president signed a decree of 1st September 2000 ‘On formation of the State Council as a consultation body’; and the way I see it, the State Council has been honourably fulfilling this task, particularly. Most various matters have been considered on its platform. By the way, I participated in preparation of those matters during the period of my work in the Presidential Administration, and then later, during my work in the Government. Time and again, the State Council was plunging into various complicated issues of the current life of our country. At the same time, the work format can change as well. We have the State Council, where heads of all regions are represented; also, we have the State Council Presidium, a compact body that deals with practically the same issues, but it probably does it for rather particular reasons, and it is perhaps more capable of dealing with more detailed matters. Later, sessions of the State Council started taking place outside of Moscow which, in my opinion, is a good thing, as it always gives a reason for mobilizing and preparing a city or a town for holding the State Council, and for putting things in order to show a particular place at its best. It’s not bad for regions; a large number of leaders visiting a region is always a good thing, as, I repeat, it’s a good reason to clean up. Social structures began taking part in the State Council. 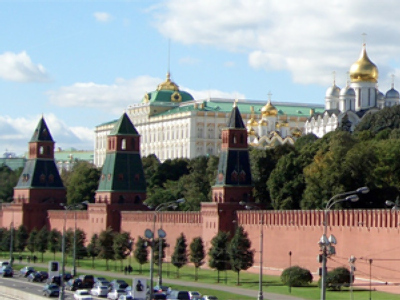 The Russian Government and deputies have been regularly participating in the State Council. One of the most recent significant subjects considered at the session of the State Council was that of improving our political system. Upon my suggestion, we invited leaders of political parties, not just those in the Parliament but all actual parties registered within Russia’s territory. Therefore, our State Council took place truly as a large consultative platform that reflected federative sources of our state. SB: You recalled earlier that in 2000, the order of electing the Federation Council members was changed: local governors were replaced by their representatives. But the order of forming the actual governor body has changed since then. Did that fact change the work of the State Council, and what is its collective portrait now? DM: You know, the composition of the governors’ body is just the way it is. It’s always a number of people with all their skills, advantages, and perhaps, some flaws, since it’s a live working body. It doesn’t matter which way the executive power is formed locally. The point is that these particular officials should do their jobs well and efficiently, rather than spend time hiding in their buildings or decorating those buildings. They should be helping people live their lives; helping their territories develop; heading all economic and social processes, and tackling difficult issues, especially in crises or natural disasters, as had recently happened in our country. Therefore, in my opinion, efficiency of the State Council shouldn’t depend on the order of its structure formation. This is a body that brings together all acting local governors. They are the way they are, and they should be working. SB: Governors are not just ‘the way they are’; they are what they have become during this year: the governors’ body has been significantly renewed. DM: Indeed, they are what they have become, too. Recently, we have really seen a renewal of the local governors body. I believe it’s done objectively, and indeed, practically one-third of the acting governors today are new people. SB: Is this something to be continued? DM: New, modern people should be definitely coming in; and an objective rejuvenation of the governors’ body should be taking place, maintaining its succession. But the key thing is for governors to act as efficient administrators who have been trained for the modern life. The way I see this rotation that’s been taking place, these new people do meet these requirements. SB: In this case, I won’t resist the temptation to ask an additional sub-question, considering the events that happened, literally, during the last few weeks. How is the public trust gauged that serves as a criterion for a governor continuing in his or her job? DM: This is the right kind of question, in fact, because some of our colleagues decided at some point that the changed procedure, whereby the executive authority is formed and the powers are handed down, as the law says, now enables them to relax and stop talking to the people or talk as rarely as they possibly can. Ostensibly it’s an indirect election, not a direct one. It’s democracy all the same, but it’s indirect. On the party’s suggestion, the president shall nominate a candidate and the legislature shall elect him or her. But this is wrong. This person, who is in charge of a territory, should work with the people. This is why I instructed my staff quite a while ago to follow the governors’ approval ratings, the ratio between so-called ratings and anti-ratings, trust and distrust. Of course, there is no direct or automatic correspondence: your ratings are down and you are fired. But it’s a motive for a governor to start thinking about what is going on, whether and how much the people in the territory where he is governor are pleased with his performance. This is why that indicator is used without fail in decision-making on whether or not to extend this or that official’s powers. Let me tell you right away that it is not the only one, but it is very important. SB: In Kaliningrad the red lamp did flash. Is one twinkling somewhere else? DM: There is always something twinkling somewhere. But there are chances for a governor to slowly – if he feels that something quakes – get into a higher gear or to step up the voltage. Then the lamp won’t twinkle, it’ll develop a full glow. SB: I’d like to go back to the State Council. We talked about the substantive aspect. It’s clear how its composition will change. But what about the State Council’s status? It was established by a presidential decree. There is no such body in the Constitution. But it operates actively. Will its status change any time soon? DM: You know, I wouldn’t like to rule out anything, in principle. For example, I don’t intend, for the time being, taking any steps in that direction. But the Constitution is also a living instrument and in some way or other it will be amended. I am sure of that. If not now, then certainly in the future: five, ten, fifteen years from now. I don’t know exactly when. All Constitutions develop in this way. And the State Council’s position can be altered after some or other changes. But this requires separate conceptualization. In any case, I wouldn’t rule out the emergence of separate constitutional provisions devoted to the State Council. Thereby its status will be legalized to a greater extent. DM: Oh, no, we have no other men named Dmitry Anatolyevich there. SB: But there is one Dmitry, if I am not mistaken. DM: Yes, I think so. SB: But there are many presidents. Not governors, but presidents. An idea has been suggested that this title should be given up in the regions. What do you think about this idea? DM: You know, my view is that the regions themselves should make the decision. I took a look: a number of Caucasian regions and some others have indeed come up with that suggestion. Generally speaking, the names can be different. But on the other hand, those names should not cause confusion or create misunderstandings of any sort. This is why, if our colleagues, the governors and the presidents, do put forward this kind of initiatives and if this issue comes up on the agenda, I think it can be considered and possibly the legislation can be amended as well. But the initiative must come from the regions and from the legislatures because we have a federation here and, in this sense, it has specific features of its own. Each region has specific features of its own. But, on the other hand, there should be a certain standardized principle, too. And people should also objectively differentiate what it is all about, what is meant in concrete terms when this or that title is applied. Incidentally, it is not only and not so much the presidents as the legislatures, too. As far as I can remember, we have State Dumas that are some regions’ legislative bodies. There is scope for confusion here as well. This is why I think we should consider this initiative. If the regions are ready, I certainly won’t object to it.